We all know the pain of opening an app in a darkened room, only to be greeted by retina-searing brightness. Well, Twitter is experimenting with not being one of those apps. 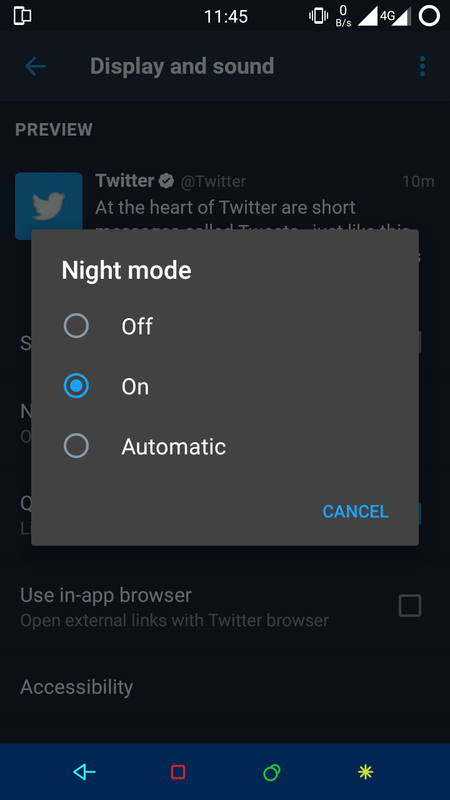 Some lucky users have an automatic night mode setting, which keeps the app darker from dusk till dawn. From what we've gathered, this option is being tested in the beta channel. 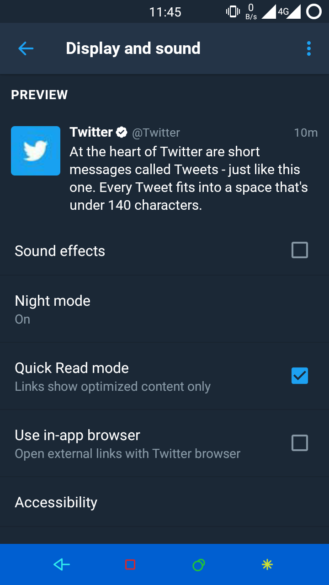 If you have it, it'll be in the settings under night mode. 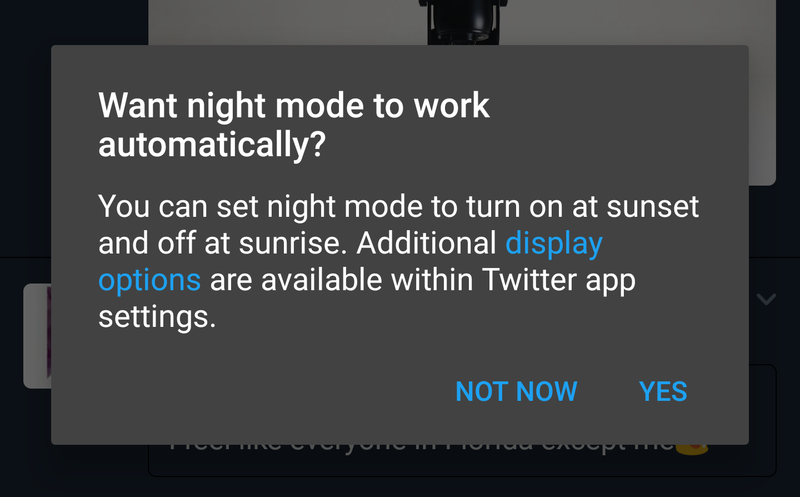 Some users are also getting a popup suggesting they turn on automatic night mode. You have on, off, and automatic options. With automatic selected, the app will flip over to night mode at dusk and go back to day mode in the morning. This is an enhancement of the dark UI mode that was added to the app last year. 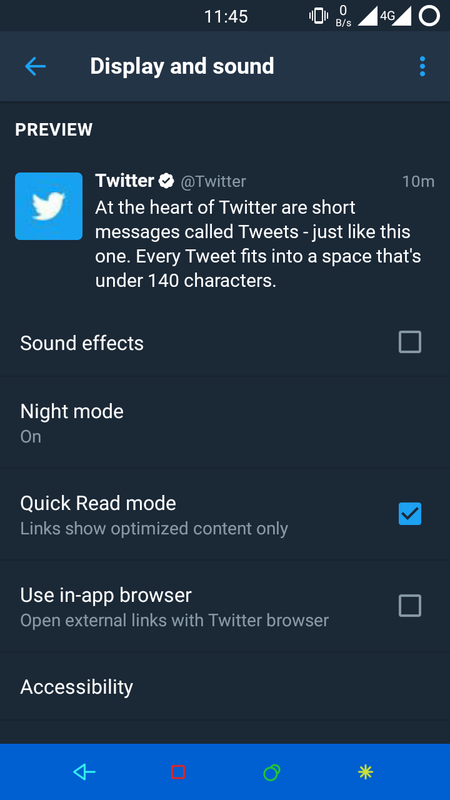 As with many of Twitter's features, this is a server-side toggle. If it shows up in your app, great. If not, you'll just have to wait and see if it's rolled out widely. You can grab the latest beta build from APK Mirror and roll the dice if you're interested.